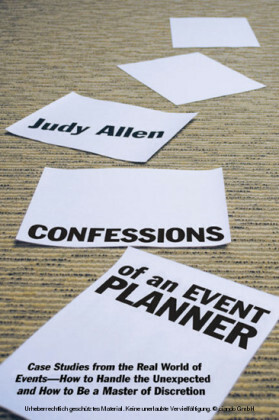 For anyone planning events - student, novice, or experienced professional - Confessions of an Event Planner is an "apprenticeship in a book." This insider's guide takes you on a narrative journey, following a fictional event planning company that stages various types of events around the world for many different clients. 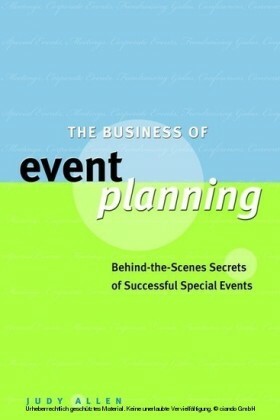 While other books, college courses, and training programs give you the theory and how-to of the profession, Confessions of an Event Planner reveals the real world of event planning and what can happen - usually the unexpected - on an event program when actual participants are added to the event planning design and execution mix. In a climate of media scrutiny and corporate scandals, event planners must be masters of discretion, knowing how to avoid and deal with everything from sexual romps to financial shenanigans, to chainsaw wielding salesmen dead set on "re-landscaping" the grounds of the resort they're staying at. 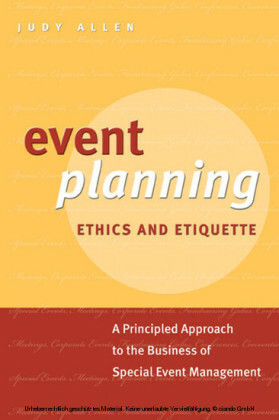 From an event planner who's seen it all and knows how to deal with it all, comes practical first-hand advice delivered in an entertaining and accessible format. Each chapter is set in a unique location, with a cast of characters, and a host of challenges and problems to overcome - from the boardroom to the resort guest bedrooms. 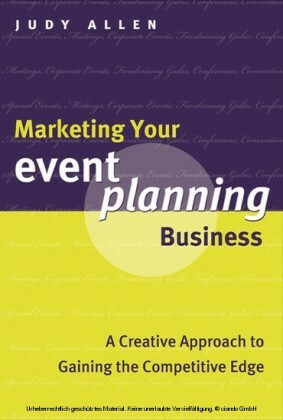 Readers learn what they can come up against, how to problem solve creatively on the fly, get ideas for staging spectacular events, and see the principles of event planning in action. The scenario in each chapter is introduced by an outline of what will be covered in the chapter, and each chapter concludes with a series of review questions to explore key issues and stimulate reflection or discussion for individuals or groups. Ideal as a companion to Judy Allen's six other event planning books, as a textbook in event planning courses, or as a professional training tool Confessions of an Event Planner prepares planners for what they can expect once they start working in the world of corporate and social event planning, and will help decision-makers set company policies, procedures and protocol and promote discussion about codes of conduct in the office and offsite.